RUSH: Kathy in Fairfax, Virginia. Hi. Great to have you on the EIB Network. Hello. CALLER: Hi, Rush. Thank you so much. I was just thinking a while back how tired I was of hearing Jimmy Kimmel pontificate to all of us about how to treat women. And I looked at my husband and I said, “What was that stupid show we watched when we were young and stupid?” And we looked up The Man Show online. I have come to realize you’ve already talked about that, but if you Google The Man Show, you’ll find the YouTube videos where he and Adam Carolla held tryouts. RUSH: Hold it now. I’m an old guy now, trying to stay hip with terms. What are super crotch shots? CALLER: Really close under the skirt. RUSH: Oh, is that right? CALLER: I was embarrassed to look it up ’cause I’m much older now and I have children, but I was I was like, “Oh, my gosh, look at this, this is crazy.” And what concerns me, one thing that concerns me is the network he works for knew he did all of that when they hired him. The women that have since worked with him and for him knew he did all that when they decided to work for him and with him, and I just think it’s all a bunch of baloney. RUSH: You know what they would say. They would say, “Come on. That was just a TV show. That was just for laughs. We weren’t making social policy. We were just –” and they were. They were doing stereotypical humor. Remember when the show aired, you have to remember when it aired. It aired very near the beginning of the early era — feminazis were running around all over this country blaming men for everything, and these guys were doing an in-your-face to the feminists show. But look, we’ve all made these mistakes. I remember it wasn’t long — well, it’s long ago now. It had to be the first three or four years of this program, I was talked into requiring photos of women on file here before they would be allowed to be put on the air. And I actually did it. I had a sick call screener. His name was Mario Snerdley. It caused more hell to come down on me than I can recall much anything else. But, see, I’m no longer thought of in those ways ’cause we dumped the policy. And little did I know, it was simply Mario Snerdley trying to get dates, is what it was. And he’s still got the pictures, in fact. We don’t have the pictures. Mario Snerdley does. CALLER: As long as you din’t make ’em jump on trampolines while hundreds of other men watched. RUSH: No, no, no, no. Mario Snerdley was a prankster and troublemaker from the get-go. Yeah. Because of security, I always had a car meet me right out the door of the building. And Mario Snerdley, “Let me give you a ride home.” I said, “Where are you parked?” “Real close, real close.” We had to walk 10 blocks to get to his car. He did it just to make me walk. He was a troublemaker from the get-go. And you know what he ended up doing? He ended up as a producer on Access Hollywood or E! Entertainment, one of those shows. Probably knows Jimmy Kimmel. CALLER: Yeah. They keep it in the family. 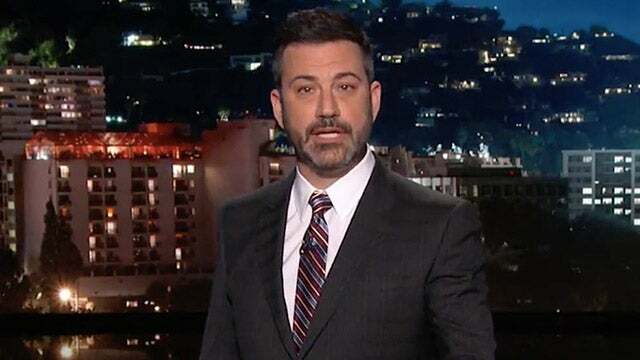 RUSH: Anyway, the real problem with Kimmel is not that stuff, although you could make a case for it, is all of a sudden he has become a health care expert and a gun control expert, and he’s not. But he’s assumed that role because the media has decided to treat him that way. Anyway, I’m glad you called. I really appreciate it, Kathy. Thanks much. Great Open Line Friday call. Really, really.